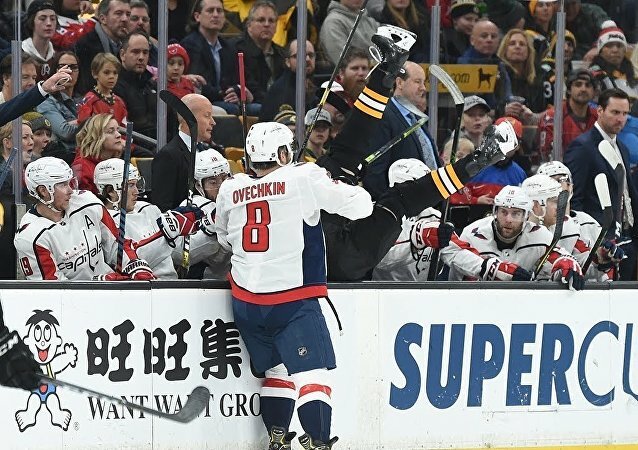 The Washington Capitals' star forward is well-known for his patented move of checking other players (and sometimes himself) into the bench. Captain of the Washington Capitals Alexander Ovechkin found a moment to turn a young fan’s eighteenth birthday into an unforgettable experience as the hockey player made her cry out of happiness and then continued a warm up session as if nothing happened. 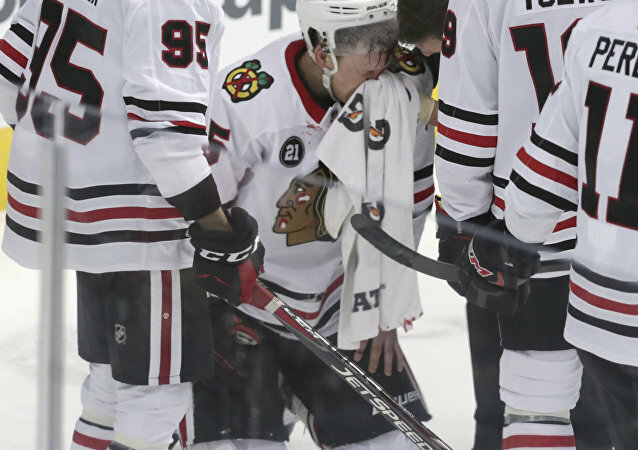 Although hockey players often leave the ice with bloody faces only after heated clashes, this NHL player was just unlucky when his helmet could not save him from a random blow. 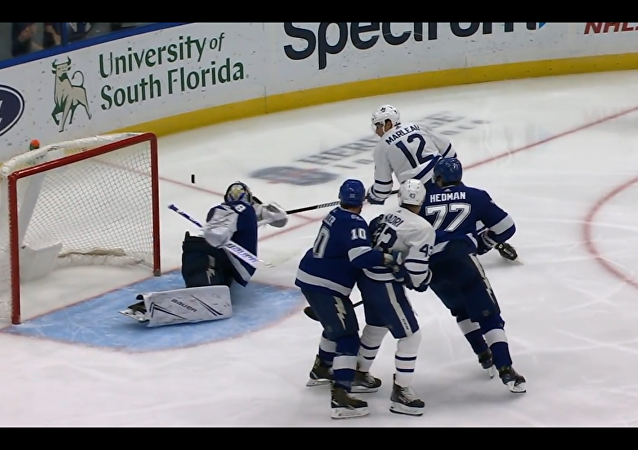 The Russian player earlier managed to get his 21st hat trick in an NHL game against the Detroit Red Wings, surpassing the record of Russian star Pavel Bure. It seems that the St. Louis Blues made their best decision ever when they decided to accept little Barclay onto their hockey team. The puppy has become a crowd pleaser since his first days with the club. Ice hockey is widely considered a violent sport and brawls are not rare on the rink. 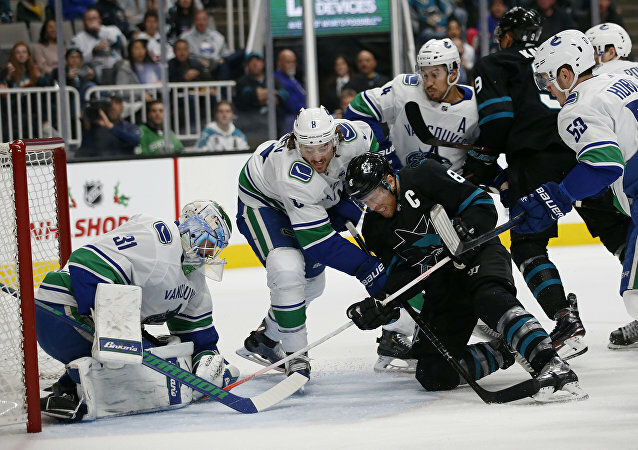 However, players from the Vancouver Canucks and San Jose Sharks managed to make their clash stand out when one of them got bit in the heat of the action. The epic moment was caught on video. SOCHI (Sputnik) - The National Hockey League (NHL) does not confirm the reinstatement of Russian defenceman Vyacheslav Voynov that would allow him to participate in the tournament, NHL deputy commissioner and chief legal officer, Bill Daly, told Sputnik on Sunday. Stanley Cup winner, forward and captain of the NHL's Washington Capitals Alexander Ovechkin has become a father, according to basketball player Vitaly Fridzon, who posted congratulations on his Instagram page. This is the first child in the family of Ovechkin and his wife Anastasia Shubskaya. Washington Capitals won their first Stanley Cup trophy in the club's franchise history of NHL with a 4-3 victory over Vegas Golden Knights on Thursday in Las Vegas. It looks line no single game goes by without Washington Capital’s legendary Russian forward Alexander Ovechkin setting a new record. Washington Capitals star Alexander Ovechkin netted his 598th career goal in the Caps' win over the Toronto Maple Leafs to become the sixth player in NHL history with nine seasons of 40+ scores.